Had dinner at ROSA MEXICANO at LA Live a while ago so I’m a bit late on posting this. The food was pretty tasty, but it was totally overshadowed by the price and parking situation– it cost me $25 to get out of the lot! On the up side, the staff was impressive. Everyone was really friendly and knowledgeable. But, again…I find myself having to discuss the parking. It turns out the situation is more complex than I thought — parking in the West (?) or is it East (?) garage is validated. And, they “cover part of valet”; the person that answered the phone was unclear. Whichever lot was covered…we didn’t park in that lot. We parked in the $25 for an $80 (per person) dinner lot. Though, this wasn’t really the restaurant’s fault. It was more of a this-is-what-happens-when-you’re-situated-at-a-gigantic-outdoor-concrete-plaza-with-inadequate-signage kinda thing. But, nonetheless…it really made the evening end on a sour note. 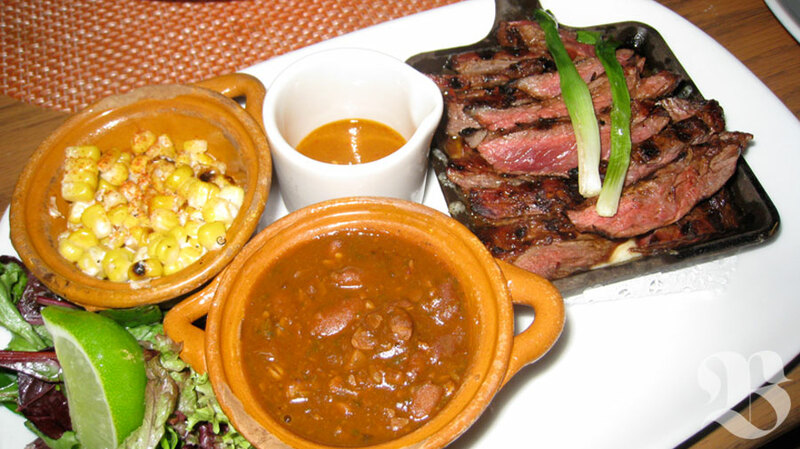 Rosa Mexicano, if you’re reading this– pony up and validate the parking. Your prices really allow for it. 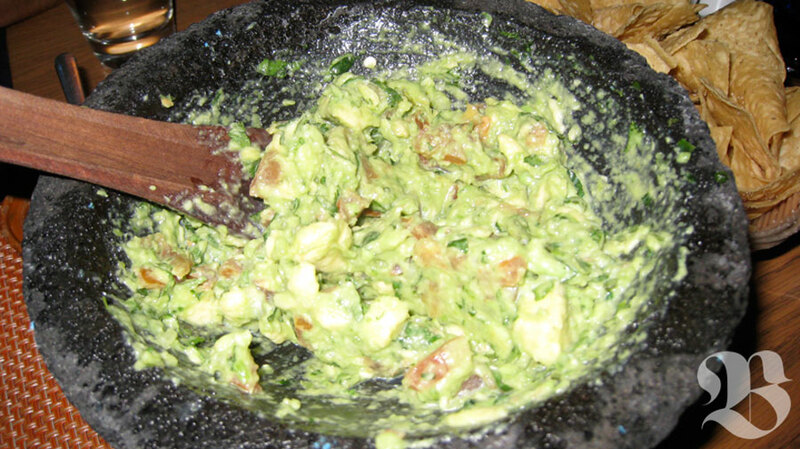 Guacamole en Molcajete– freshly made guacamole with avocado, jalapeño, tomato, onion and cilantro (prepared tableside). Each order is served with warm corn tortillas, tortilla chips, salsa Pasilla de Oaxaca and salsa de tomatillo y habanero. 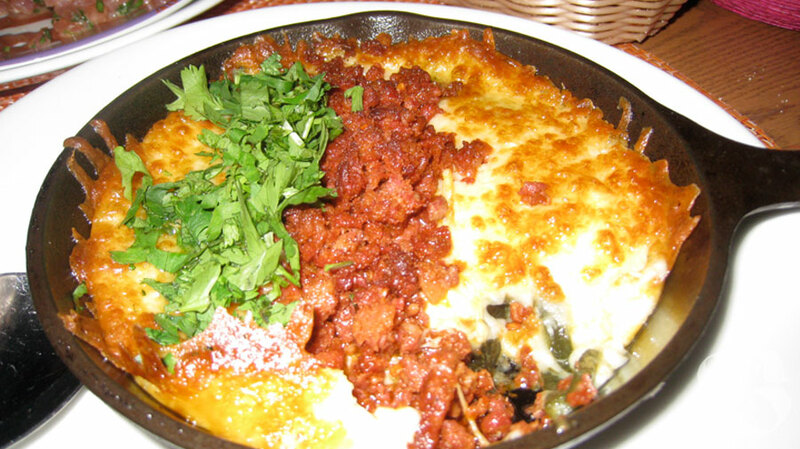 Queso Fundido melted chihuahua cheese with crumbled chorizo sausage, cilantro and rajas (slow-cooked mexican peppers). Carne Asada Tacos (pictured above, top of post)– grilled skirt steak marinated in guajillo and pasilla chiles, garlic, cumin and black pepper. Served with melted Chihuahua cheese.